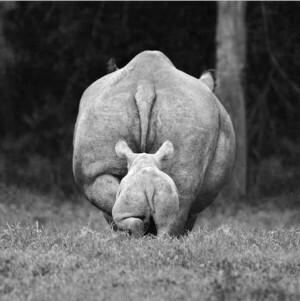 Navigation: Rhinos use their horns to help guide their babies. Similar to a human mom using her arms to hold her baby back form an unsafe situation, or to help nudge the baby in the right direction. Shovels: Horns are great tools for digging. 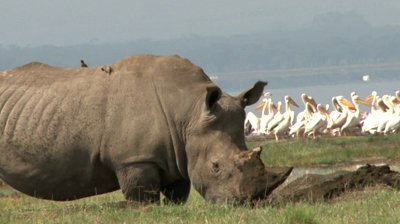 When grass is sparse, rhinos dig to find edible roots and grass. To quench their thirst when riverbeds are dry, they dig deep in search for water. Black rhino male and female fighting. Photo: Sharon Heald/Arkive. 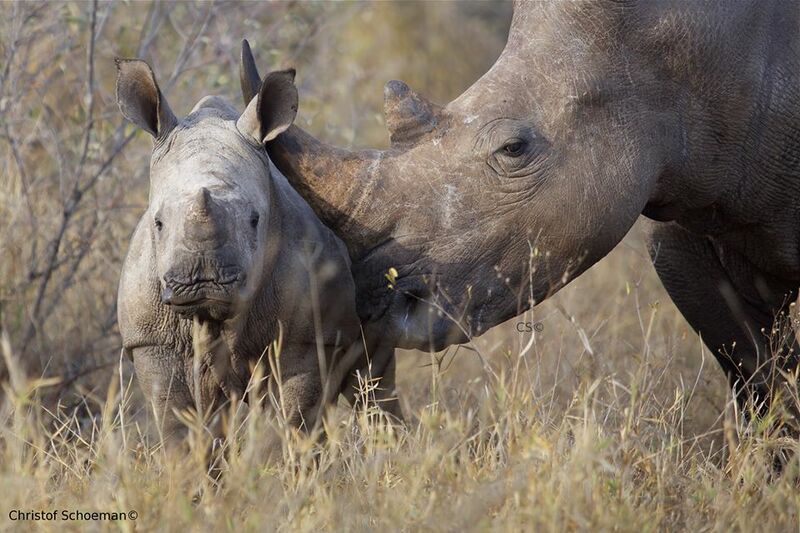 Swords: Rhinos utilize horns for posturing. 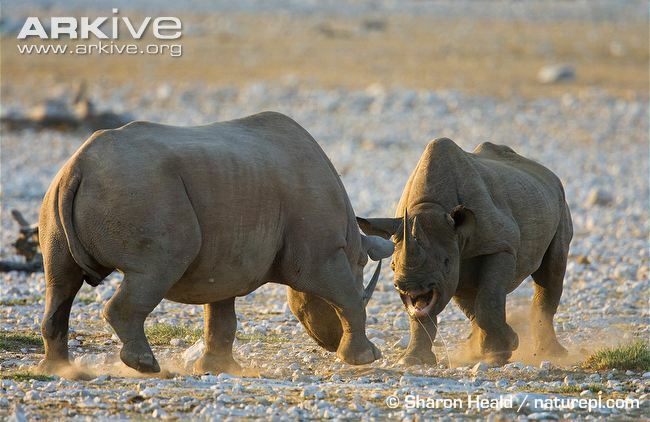 They lower their horns and charge to send the message to unwelcome rhinos to stay away. 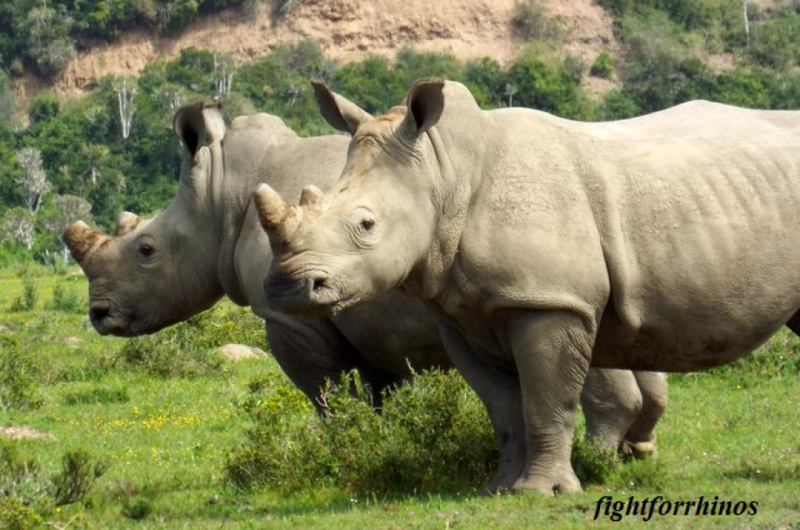 If this isn’t enough, they will lock horns and fight, often causing injury, sometimes even resulting in death.